Mr. Avramov has run an innovative and very successful election campaign for me as candidate for Mayor of municipality of Haskovo and I have eventually won the run-off by 73.13% to 26.87%. Historically, it was one of the highest results on a second ballot in our municipality. He and his assosiate Mr. George Georgiev helped our local party organization (GERB, Haskovo – member of EEP) to focus on the most important issues, to organize the election team and encouraged the party members to work hard during the election campaign. At the time when we decided to hire Mr. Avramov as Election Campaign Manager, three months before the election day, our party’s candidate for mayor has been trailing behind in the polls by a margin of 29.2%. The pollsters used to give a huge advantage to my opponent (49% to 19.8%) and projected that he was very likely to win in the first round. Few months before the start of our 2015 local election campaign, the main challenge for our local party was to nominate a candidate who’d have a chance to win against an incumbent, who had been in office for 16 years. We have previously had two unsuccessful mayoral campaigns – in 2007 and in 2011. Over the course of those campaigns our local party leadership has obviously implemented wrong campaign strategies and made a lot of mistakes. The losing streak has made our members very sceptical about our chances to win the 2015 local elections. As candidate I have always been confident that I could change the negative trend and I would win. Dimitar Avramov was instrumental to this change! He has helped me a lot to persuade the public that my team would bring a positive change into a number of policy areas and would resolve a number of issues – to lower local taxes and fees; to improve public services (including social services for the elderly and kindergarten community services); to change business environment in a way to make our municipality more attractive for investors and new business ventures. There have been expectations that we’d loose a third consecutive local elections campaign. However Dimitar helped our team to turn things around. He has also helped me personally to boost my self-confidence and to improve the way I communicate with voters over the course of the election campaign. Something that has been difficult to do and involving a lot of effort was to change the attitude of our party members, to make them confident that our campaign would be successful. Mr. Avramov has virtually turned our team members from doubters to believers. He made it easier for our local leadership to motivate everytone to work hard and to deliver successfully our messages to the public. Dimitar and his assosiate George have been involved in our issues and policy discussion panels. They helped us to shape our political agenda and to reach out to voters by using innovative methods and communication tools. As as result of Mr. Avramov’s campaign management we have transformed an election campaign projected as “To Be Lost” into a winning one, built a positive expectations and brought the electoral community together around our political priorities. 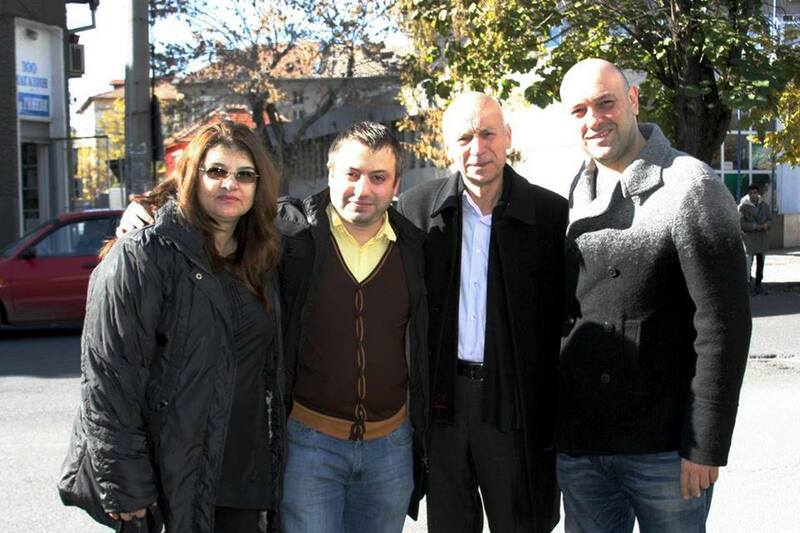 It was a pleasure to have Mr. Dimitar Avramov and his associate Mr. George Georgiev as Election Campaign Managers. Based on their hard work and the winning campaign strategy they have created and implemented for us, I can assert that Dimitar Avramov is the best political campaign consultant I have worked with.